Like many other personal injury cases, premises liability relies on the negligence of another. These claims arise when accident or injury occurs on another’s property. It is imperative to note that any injury that happens on someone else’s property does not automatically qualify for a premises liability claim. The injured person must prove that the owner of the property knew, or reasonably should have known, that the faulty condition existed and still neglected to do anything to fix or solve the condition. 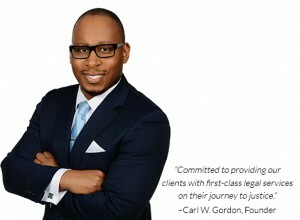 Gordon Law Firm will support you on your journey for justice in your premises liability claim in Houston, TX. It’s not enough to challenge the owner on your own to fix the faulty condition and ask for paid damages. If you were seriously injured, a personal injury attorney can help you delegate the proper claim to receive the benefits you deserve. A person can submit a lawsuit against the owner regarding the types of premises liability claims above so long as they were invited or licensed to be on the property. The owner does not owe anything to a trespasser so long as that trespasser is not a child. It’s especially important to have an injury lawyer on your side since the line for determining who was allowed on the property or not can be tricky. In contrast, if you were the injured one in the accident, you need to be able to prove you were allowed to be on the property to start. If you have filed, supported and won a premises liability case in Houston, TX, you are likely to walk away with a settlement that supports medical bills accrued due to injury, compensation for missed work time or income and benefit for any physical or psychological harm that was caused directly due to the negligence of the property owner. Gordon Law Firm specializes in personal injury law. For more information, feel free to contact Houston’s Top Rated Local® Trial Attorney.